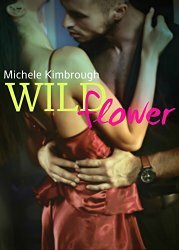 Michele Kimbrough is the author of the romance novels “Wildflower,” “Prudence” and her most recent release, “Dangerously in Love.” Kimbrough is a passionate Pressbooks user and was gracious enough to take some time out from writing to tell us how she uses the platform in her writing and publishing process. 1. Let’s start with a little shameless self-promotion. Tell us more about your books and where we can buy them. “Prudence” and “Wildflower” are available on Kindle. “Dangerously in Love” will be available in February on Kindle and on Amazon in paperback. 2. How many of those books have you produced with Pressbooks, and how does the platform help you with your workflow? What’s the killer feature for you? I have produced all of my books (and those of other authors when I was a partner in a small publishing company) on Pressbooks. I’ve used Pressbooks differently each time. When writing the first book, I cut and pasted the chapters into Pressbooks, which made editing a breeze (rearranging the chapters, eliminating chapters with one click without having to delete them…). The second book I wrote directly in Pressbooks. For the third one, now that I feel like an expert on Pressbooks, I use Pressbooks to organize the story–sort of like a storyboard. The killer features for me are the Book Info section and the Public function, which I use to make certain chapters available as excerpts for prospective purchasers to read, while the remainder of the story remains private. The fact that the landing page for my books on Pressbooks has the book cover image, the title, tagline, short synopsis, copyright info–it’s like a visually appealing snapshot of my book and my favorite way to promote it. Check out what I mean on the landing page of my latest book. 3. Getting a good cover can be one of the hardest, but most important, aspects of self-publishing. Your book covers are awesome–how do you source those? I design my own book covers. I hired a graphic designer (Galan Graphix) to fashion my book covers for print, though. But for ebooks, I buy the rights to use certain photos and design the covers myself. “Dangerously in Love” is my favorite book cover I’ve done so far because the photo that I used was originally black and white, which I edited into a full-color photo using Pixlr.com. I was also able to add other design elements and layers to it using the same resource. 4. As an indie author, what do you see as the biggest challenges and opportunities, and how have you successfully addressed them? The biggest challenge is finding my audience. Promoting my books has been the most daunting and challenging part of the whole process. But with platforms like Pressbooks and social media sites like Facebook and Twitter, there are great opportunities to reach new readers and cultivate relationships with current readers. As I’ve said earlier, I use Pressbooks to offer excerpts of my books. The landing page of the book on Pressbooks is an awesome promotional tool because all of the elements are there in a visually appealing layout: the cover, title, tagline, short synopsis, copyright and social media buttons for people to share the page. I’m still learning how to leverage my social networks to broaden my platform/reach. But using the resources I’ve mentioned, I have been able to grow my readership. 5. What advice would you give other indie authors at the beginning of their self-publishing journey? Have fun. But don’t treat your writing like it’s a hobby. Treat it like it’s your bread and butter. Develop a thick skin. Trust me, that first bad review will make you want to banish to a corner and ball into the fetal position, while rocking and sucking your thumb. Ha! Everybody isn’t going to like your writing or your story. Promote. Promote. Promote. I believe promotion for a book should begin at its conception. With social media and platforms like Pressbooks, giving excerpts, character profiles or sharing snippets as you’re writing your story is easy. These are great ways to keep your name and your prospective book in front of people without bombarding them with sales pitches. By the time your book is published, you will have created an anticipation for your work. You will have built an audience. This is the advice I wish I had when I wrote my first book. 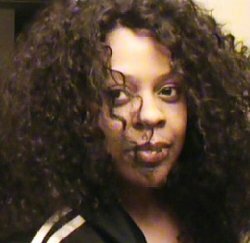 Learn more about Michele Kimbrough and her writing at http://kimbroughwriter.wordpress.com/.